General Conference • LDS Church announces plans for four other temples as well  in Idaho, Kenya, the Philippines and Brazil. The Payson Utah Temple © 2015 by Intellectual Reserve, Inc. All rights reserved. 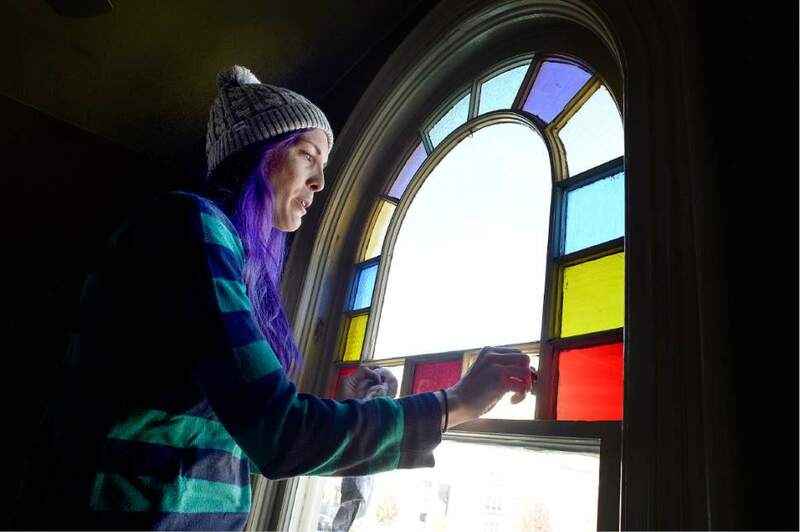 Scott Sommerdorf | The Salt Lake Tribune Jess Mikel cleans a rainbow edged window that looks out to the north with a view of the Provo LDS Temple during a work / cleanup day at the old Victorian home being renovated to house "Encircle House" which will be Provo's first LGBT resource center, Saturday November 19, 2016. Trent Nelson | The Salt Lake Tribune President Thomas S. Monson is escorted out after the morning session of the 187th Annual General Conference at the Conference Center in Salt Lake City, Sunday April 2, 2017. 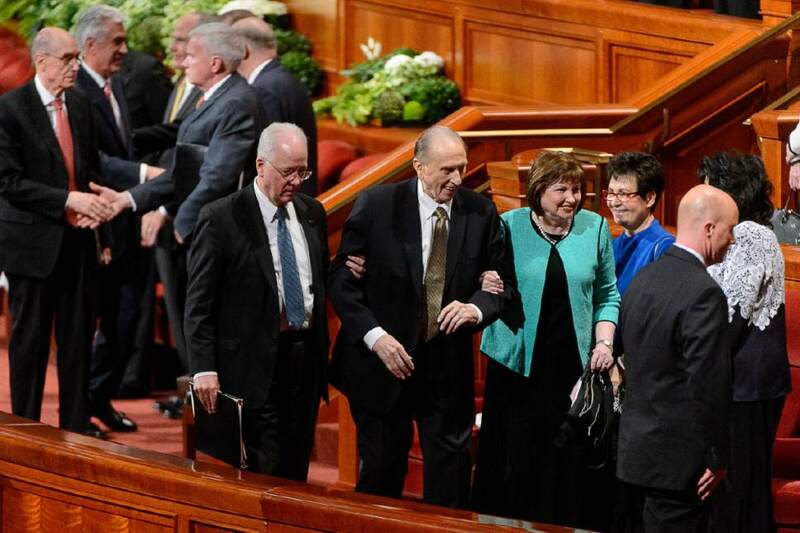 Leah Hogsten | The Salt Lake Tribune The Provo City Center Temple was dedicated Sunday, March 20, 2016. The Churchís 112-year-old Provo Tabernacle burned in December 2010 and only the shell of the building was left. After the burned-out structure was gutted, Mormon leaders decided to use the buildingís exterior to house the temple. 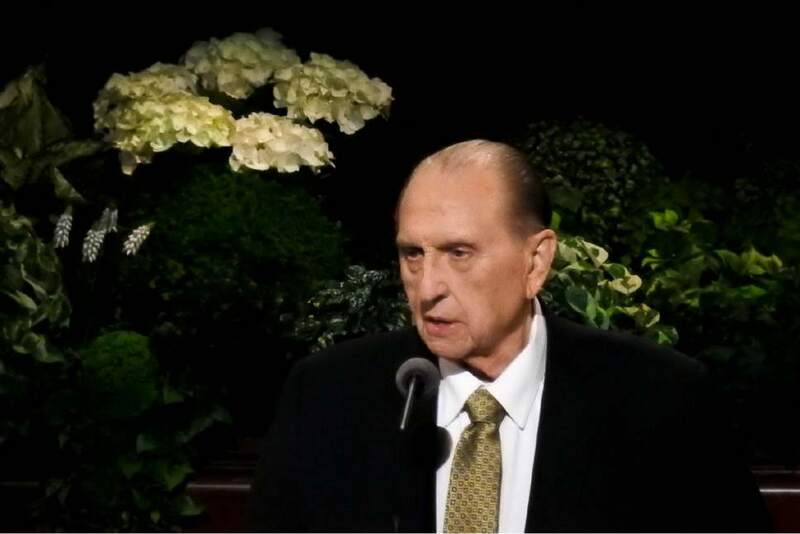 Trent Nelson | The Salt Lake Tribune President Thomas S. Monson speaks during the morning session of the 187th Annual General Conference at the Conference Center in Salt Lake City, Sunday April 2, 2017. 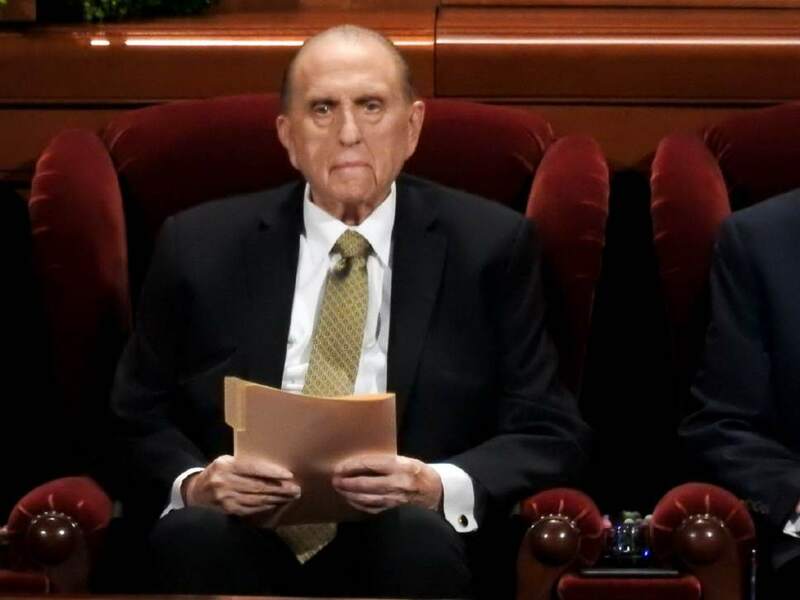 Trent Nelson | The Salt Lake Tribune President Thomas S. Monson during the morning session of the 187th Annual General Conference at the Conference Center in Salt Lake City, Sunday April 2, 2017. Trent Nelson | The Salt Lake Tribune President Thomas S. Monson arrives to the morning session of the 187th Annual General Conference at the Conference Center in Salt Lake City, Sunday April 2, 2017. 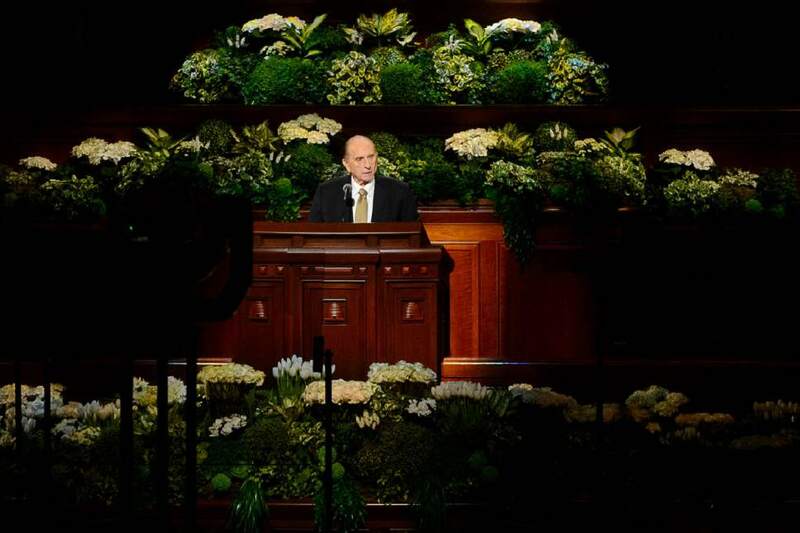 Trent Nelson | The Salt Lake Tribune President Thomas S. Monson speaks during the morning session of the 187th Annual General Conference at the Conference Center in Salt Lake City, Sunday April 2, 2017. A squeal rang out inside the LDS Conference Center with Sunday&apos;s announcement that the faith plans to build an 18th temple in Utah, this one in Saratoga Springs. An echo of that delight could also be heard from that Utah County city, some 40 miles away. "We are thrilled to have this sacred building added to our community," Mayor Jim Miller said in a statement. "There are many faithful members of the LDS Church in Saratoga Springs and the surrounding area who will benefit from having this new temple located in our city." Rep. Mia Love, R-Utah and a former mayor of Saratoga Springs, pointed to the news as "evidence of the strength, service and the potential" of residents there. "When I was mayor, I always worked with my fellow council members (who all remain my closest friends today) to provide vision for the future of our community with all citizens in mind," she said in a statement. "I am pleased that they continued this work and it resulted in this addition to our community." 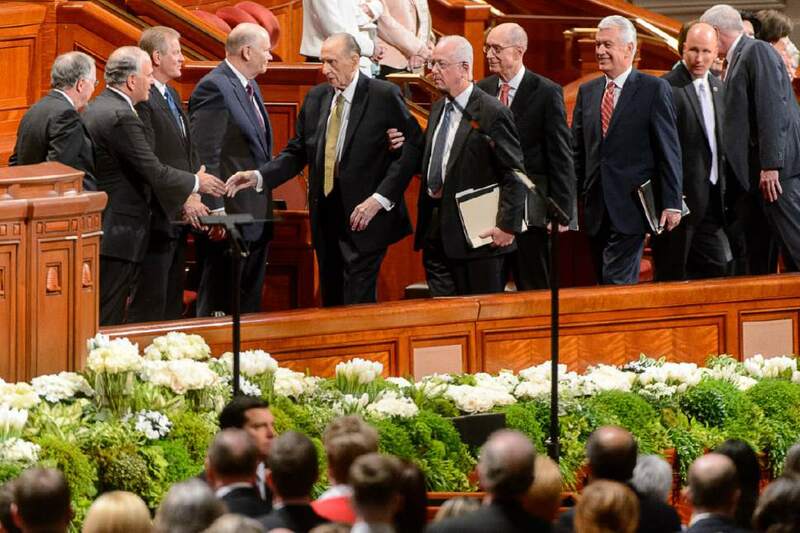 President Thomas S. Monson, the 89-year-old leaders of the Salt Lake City-based Church of Jesus Christ of Latter-day Saints, also unveiled plans for four other temples  in Brasilia, Brazil; the greater Manila area in the Philippines; Nairobi, Kenya; and Pocatello, Idaho. When completed, the Saratoga Springs edifice will be Utah County&apos;s fifth Mormon temple, joining two in Provo, one in American Fork and one in Payson. Sunday&apos;s news came as a surprise to city leaders, Saratoga Springs spokesman Owen Jackson said. 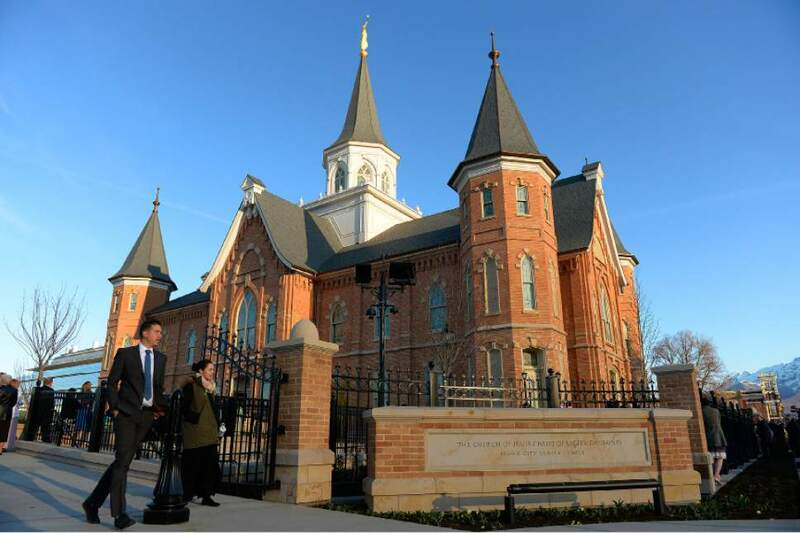 The LDS Church does own property within the city, he said, but has not yet sought any construction permits or discussed plans with municipal leaders. Saratoga Springs may be a small, 21-square-mile community, with about 28,000 residents, but it&apos;s booming. In 2015, the Census Bureau ranked it as the ninth-fastest growing city in the nation for communities with populations between 10,000 and 49,999. Growth across northern Utah County as a whole may well have been a factor in the decision to build a temple there as well. In 2016, Utah officials said population growth in Utah County had exceeded that of Salt Lake County. Much of the expansion is mushrooming west of Utah Lake  in and around Saratoga Springs  and along the border between Utah and Salt Lake counties. The naming of five more LDS temples brings the total number of operating and planned temples to 182 around the globe. Utah, home to the headquarters of the LDS Church and 2.1 million members, already has 16 operating Mormon temples. A 17th, in Cedar City, is set to be dedicated Dec. 10. 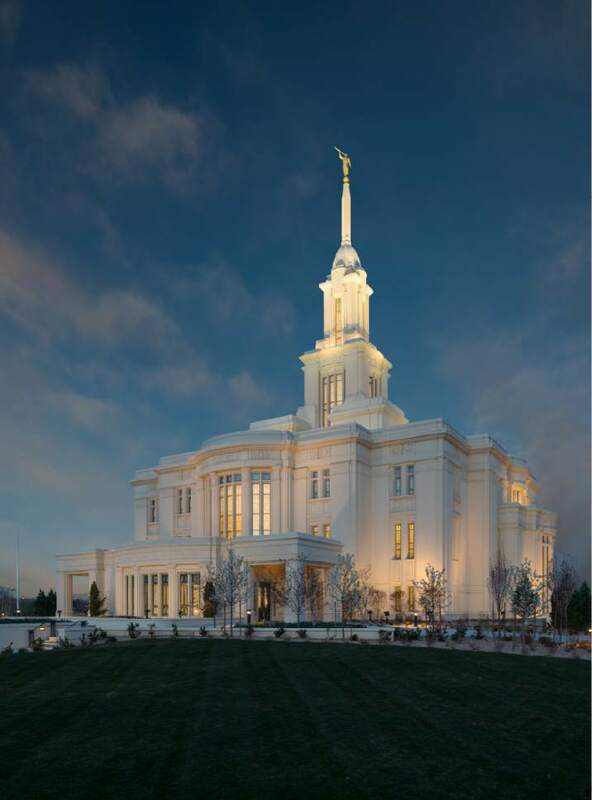 Utah&apos;s northern neighbor, Idaho, will have six temples when the newly announced Pocatello one opens. The Brasilia edifice will be the 10th LDS temple in Brazil, with its 1.3 million Mormons, more members than any other country outside the U.S. and Mexico. A second Manila area temple will be the fourth in the Philippines, and the Nairobi structure will be the African continent&apos;s eighth. Mormons consider temples Houses of God, places where they can participate in their faith&apos;s highest ordinances, including eternal marriages. Editor David Noyce contributed to this story.